Pope Francis created 17 new cardinals Saturday in the midst of an intensifying confrontation with conservative cardinals over perceived doctrinal ambiguities in the Pope’s teaching. In September, four leading cardinals wrote a private letter to Pope Francis asking him to clarify five serious doctrinal questions proceeding from his 2016 apostolic exhortation Amoris Laetitia (The Joy of Love). The questions concerned Holy Communion for the divorced and remarried, the indissolubility of marriage, and the proper role of conscience. In their letter, the Cardinals—Raymond Burke, Carlo Caffarra, Walter Brandmüller and Joachim Meisner—asked the Pope whether certain specific Church teachings about Communion and the moral law are still valid. Some people – I am thinking of certain replies to Amoris laetitia – continue to not understand. Everything has to be black or white, even though it is in the course of life that we must discern. The [Second Vatican] Council told us this, but historians tell us that it takes a century for the body of the Church to assimilate a council fully, so we are only halfway there. “These are insincere, and come from a malicious spirit to incite division. You see right away that certain forms of legalism are born of a deficiency, from a desire to hide one’s sad dissatisfactions behind a shell,” he said. One way or another, the Cardinals’ insistence seems to have gotten under the Pope’s skin. In an interview with EWTN, Vatican journalist Edward Pentin said that sources within the Pope’s Santa Marta residence told him that the Pope is “boiling with rage” over the confrontation. Among the 17 new cardinals, Pope Francis chose two Americans as well as the Irish-born archbishop of Dallas, Kevin Farrell. 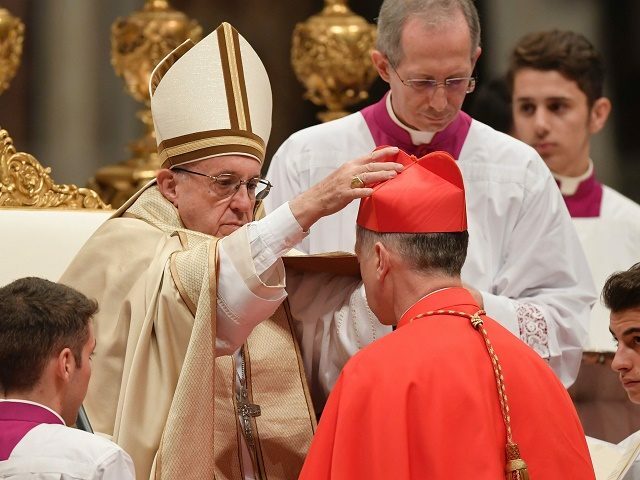 Sidelining known conservatives from important dioceses, Francis bestowed the “red hat” on the recently appointed progressive archbishop of Chicago, Blaise Cupich, as well as Archbishop William Tobin of Indianapolis, who famously clashed with Vice President-elect Mike Pence over the idea of welcoming Syrian refugees into the Archdiocese of Indianapolis. 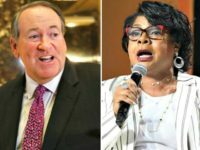 For their part, the U.S. Bishops responded earlier this week by electing two staunch conservatives to the top posts in the Bishops’ Conference (USCCB). In what was widely viewed as pushback against the Pope’s progressive picks, the bishops chose Cardinal Daniel DiNardo, archbishop of Galveston-Houston and a known conservative, as president of the USCCB. DiNardo was one of 13 cardinals to sign a letter to Pope Francis in October 2015 raising several objections about left-wing manipulation of the controversial synod on marriage and family life. As Vice President of the Conference, the bishops elected another conservative, Los Angeles Archbishop José Gomez, a member of Opus Dei. Together with Archbishop Charles Chaput of Philadelphia, Gomez was passed over by Pope Francis in the recent selection of new U.S. cardinals, despite his impressive résumé and the importance of Los Angeles as an archdiocese.